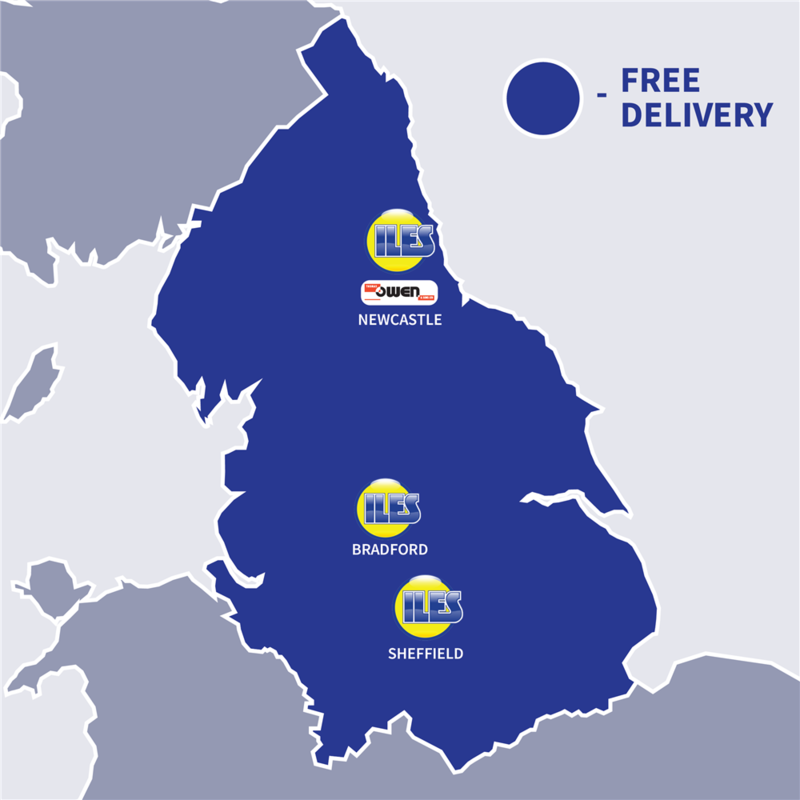 From our main operating base in Bradford, Sheffield and Thomas Owen & Sons in Newcastle, we are perfectly placed to provide prompt and efficient service throughout the North of England. We know that no-one likes paying delivery charges, so we decided to send them packing! When you shop with us we'll deliver your order directly to your door completely free of charge, providing the delivery address is within our localised area of operation (see dark blue section of the map). Due to the nature of some products, we are unable deliver to certain locations outside our specified delivery radius. Deliveries outside of our localised area may attract further carriage costs but we will contact you to discuss the options. We offer a 30 day returns period for any product you may not be completely satisfied with. If the product is returned to us unused and complete with the original packaging we will happily refund or replace the item. In order to return an item to us please contact our Sales Team on 01274 728837 or email us for details on our returns procedure.